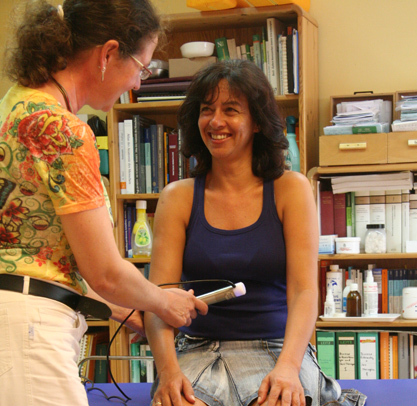 Under this complementary medical method we understand the therapy with homogenic or pulsating magnetic fields. A magnetic field is a force field, that can be produced either by a natural magnetic stone or by artificial means. Around every conducting medium, through which runs electricity, magnetism is created. The other way around, every magnetic field creates electricity in a conducting medium. A principle of which the magnetic field therapy takes advantage, since in the human body ions, electrically charged particles can be found. You would like to make and appointment or have any questions relating our services? Find our contact details and a map here.